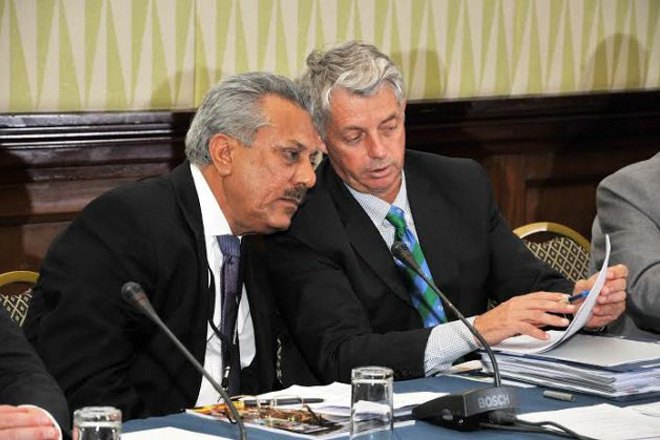 June 25, 2015 (LBO) – Former Pakistan captain Zaheer Abbas has assumed the role of the ICC President on day three of the 105 member ICC Annual Conference week in Barbados on Wednesday. Zaheer began his one-year term and thanked the ICC Board and the Full Council for confirming his nomination, ICC said in a statement. “I am thankful to all of you for the support and confidence placed in me by confirming my nomination. I am also grateful to the Pakistan Cricket Board for proposing my candidacy as the ICC President.” Abbas said. ICC Chairman N.Srinivasan also congratulated his appointment. Zaheer, 67, played 78 Tests and 62 ODIs from 1969 to 1985 in which he scored 5,062 and 2,572 runs, respectively. He also played in the 1975, 1979 and 1983 ICC Cricket World Cups and captained Pakistan in 14 Tests and 13 ODIs. With 108 centuries, Zaheer is the only Asian batsman to score a century of first-class centuries as he finished his 22-year career with 34,843 runs. He was also an ICC match referee in the 1993 series between Sri Lanka and the West Indies in Sri Lanka. The ICC Council also approved the admission of the Serbia Cricket Federation as the 58th Affiliate Member of the ICC. The ICC Council also agreed to suspend the affiliate memberships of Morocco and Turkey, while Brunei was removed as an affiliate member.